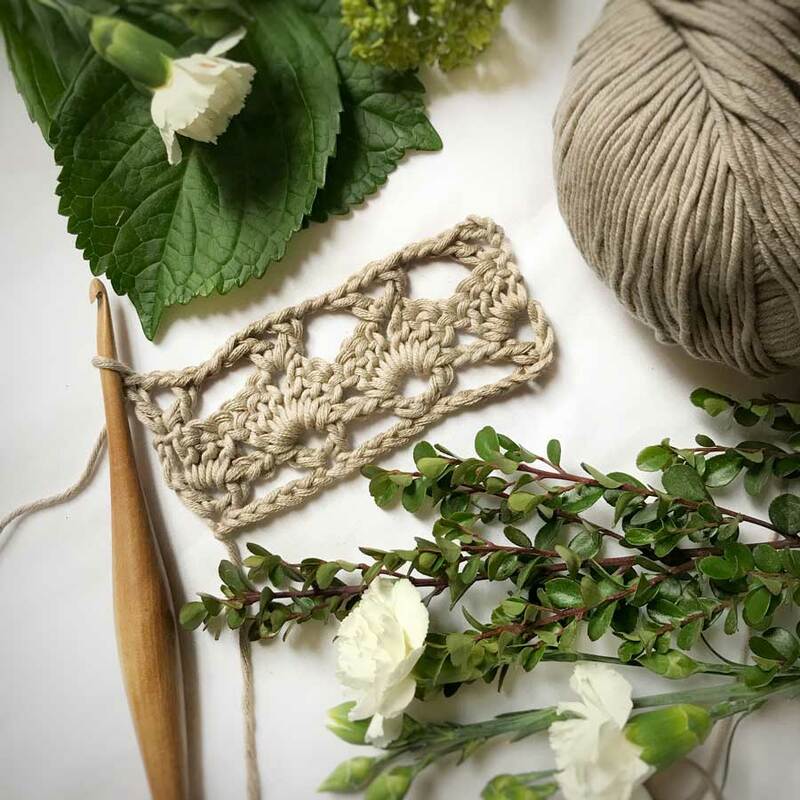 Ellen Bergmann is the artisan and pattern designer behind Crochet by Ellen. 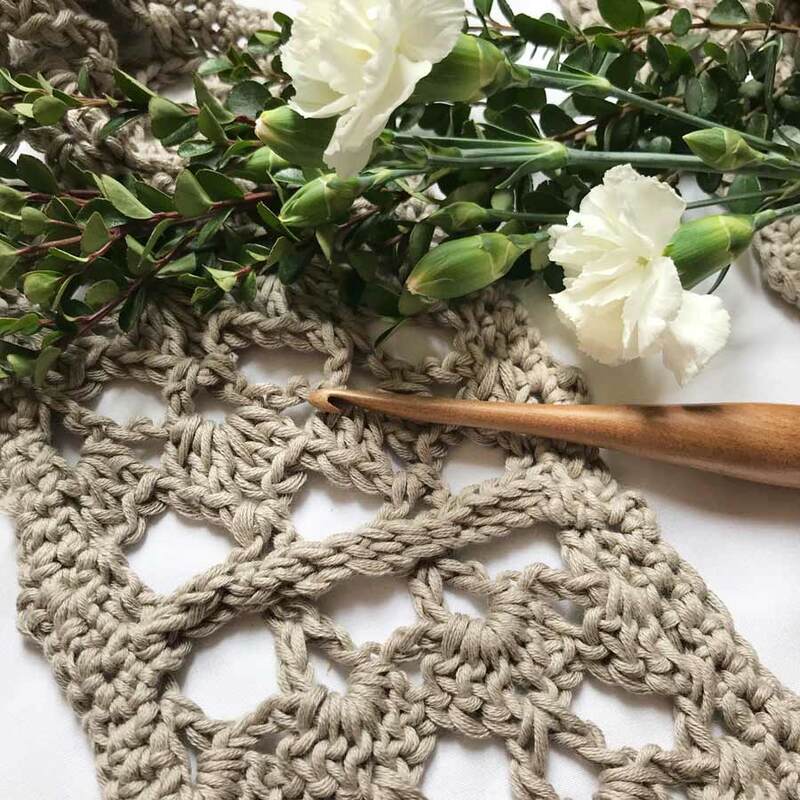 When she’s not at home crocheting the day away, you can find her squishing yarn at her local yarn store or chatting with the Oregon Crochet Community at the local coffee shop. 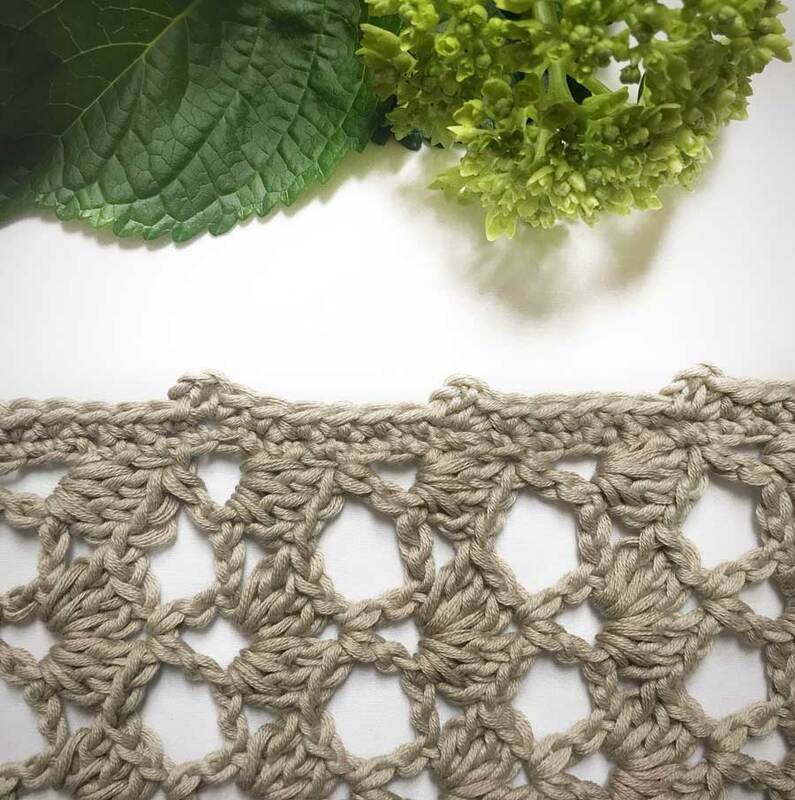 She’s passionate about making genuine connections in the maker community and sharing her love of fiber with friends both online and in person. I’m Ellen, the crochet artisan and designer behind the scenes of Crochet By Ellen. Though I have been crocheting since I was just a wee one, I picked it up as a serious hobby in 2016 thanks to my bestie, Ashley, whom I literally don’t go a day without talking to. It’s amazing to have friends that share your love for this addicting craft. I think that’s another reason why I love The Hook Nook and our maker community so much! I am so excited to be sharing a free pattern with you today, but first, I want to give a little backstory of how I stumbled upon The Hook Nook and how I was inspired to evolve my hobby and become a pattern designer. I met Jessica in 2016 when our kiddos started preschool together. I knew she was a cool gal, and enjoyed small talk at preschool pickup, sometimes about crochet, and other times just about the weather. Through awkward and quirky conversation, I discovered that Jessica also enjoyed crocheting and I would take notice of her adorable hats and scarves. Intrigued by the idea that someone could create a livelihood from writing patterns (and oh so much more), I asked for her business card and went onto Facebook to check out her work. I was absolutely blown away that crochet could be as cool as she presented it. The raw talent conveyed in her designs and the beauty in her personal style was truly inspiring to me. Her perspective on the craft opened my eyes to a whole new world of crochet design. One of the most impacting things that I did next was connect with fellow Hook Nookers through The Hook Nook Facebook Group. Let me tell you, this community of makers is incredible. I’ve never been involved in a community of people that provides so much encouragement. When I decided to start writing patterns, I was amazed by the positive energy I got and though I was apprehensive to step out of my comfort zone, I knew it was possible. One thing that I discovered about pattern writing is that it opens you up to vulnerability. 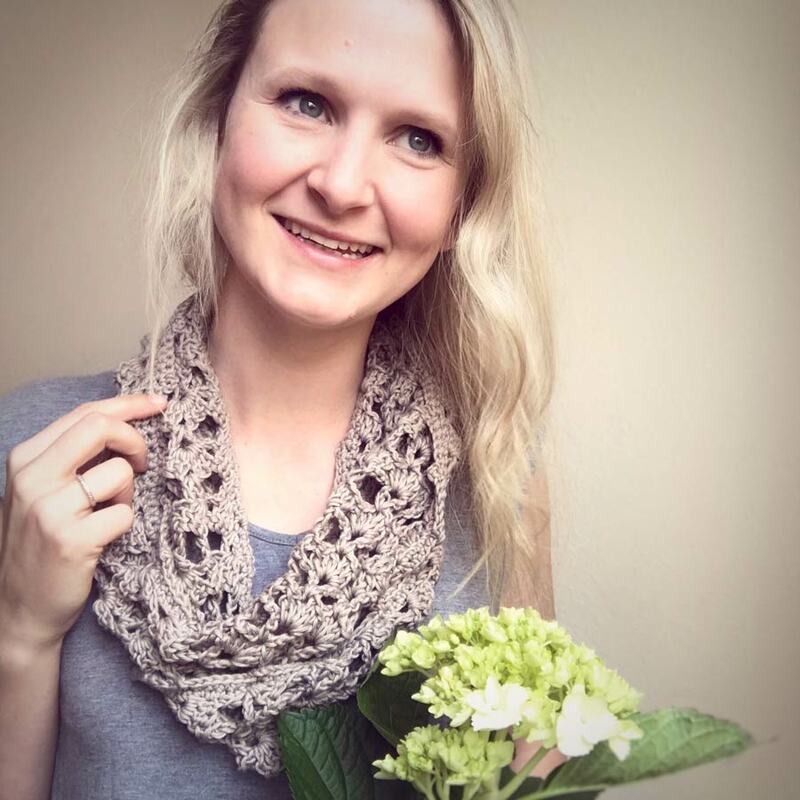 I published my first pattern, The Arcade Infinity Scarf, in September of 2017. Waiting those first couple of weeks until I sold my first pattern was torture. On one hand I was so excited about this new creation, but on the other hand I was so nervous that someone would ACTUALLY buy it and critique my work. When it sold, I did a little happy dance and realized soon after that I had the pattern writing bug. Five patterns later, and here I am with the incredible opportunity to share this free design with you! The Alis (pronounced “ah-lease”) Infinity Scarf Pattern was inspired by the Oregon motto “Alis Volat Propriis” which in English Means “She flies with her own wings”. This phrase conveys my experience with becoming a new designer. I’ve chosen to fly with my own wings into the creative world. Thanks to this community, I’m embracing the importance of empowering one’s self through ingenuity. 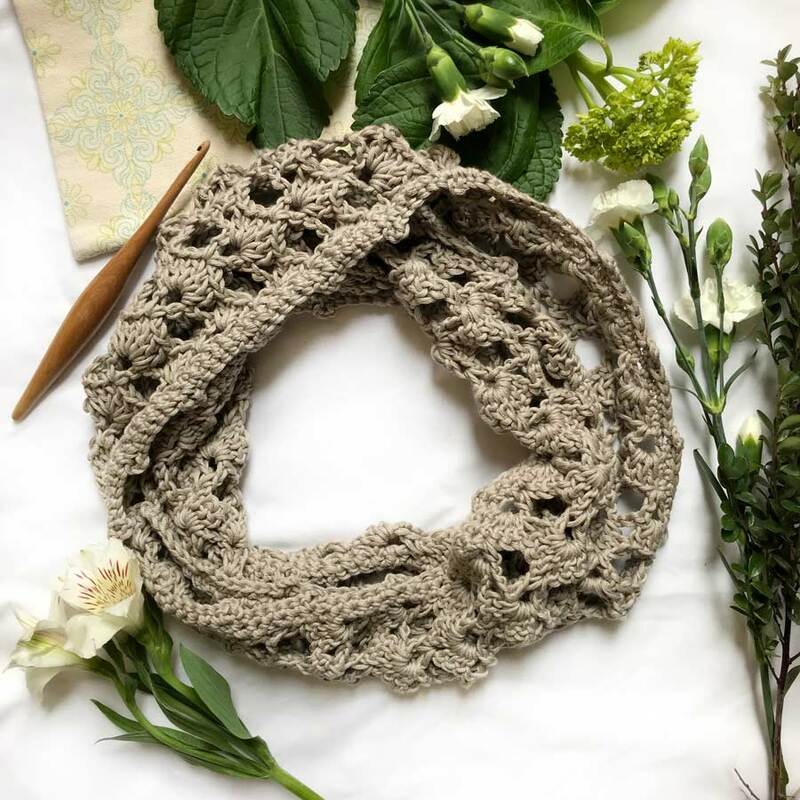 This lightweight cotton scarf is perfect for spring and I hope you enjoy the details and interest within in this simple accessory. · 1 Skein (232 yards) of We Are Knitters, The Cotton. Size: Finished scarf should measure approximately 56 inches in circumference and 5 inches wide. Gauge: My 4” square is 8 rows of 15 dc. If your piece is smaller than this, increase your hook size. If it is larger than this, decrease your hook size. Rows 4-91. Repeat rows 2 and 3. Joining Row: Fold your scarf in half and line up both ends with same sides facing. Make sure there are no twists and that you have one continuous circle. Do not cut yarn. You will now continue with the border on your first edge. Flip your scarf inside out so that the joining seam is on the inside of the scarf. Edge 1: Row 1: Ch 1, sc evenly in each st around. Join to ch1 with sl st (273) It can be difficult to see each stitch as you are working on the side of the stitches. Hint: there should be 6 sts across each pattern repetition (rows 2 and 3 of the scarf). Row 2: Ch 1, **sc in next 5 sts, picot [sc in next st, ch 3, sl st in same st] **. Repeat from ** around. Join to ch 1 with sl st. Attach yarn at the seam of the scarf on the opposite edge. Thank you so much to the incredible makers that have supported me in my design journey. This community has welcomed me with open arms and I am so thankful to have had this opportunity to share a little piece of me with you. I enjoyed every second of designing this piece for you and would love to see your finished products! Tag me with @crochet.by.ellen or use #thealisinfinity on Instagram with photos of your finished makes! You can also find me on Facebook and check out my other Patterns available on both Ravelry and Etsy.